The mijia Xiaomi platform has a number of vacuum cleaners that can be purchased from their online store. Among its variants, the Mi Robot series is intelligent and programmable, the typical traditional type and the latest model that portable hand held vacuum cleaners. The xiaomi mijia SWDK wireless handheld dust mite controller ultraviolet vacuum cleaner belongs to the third category, and if you are looking for a vacuum cleaner that is not priced, it's a great option. 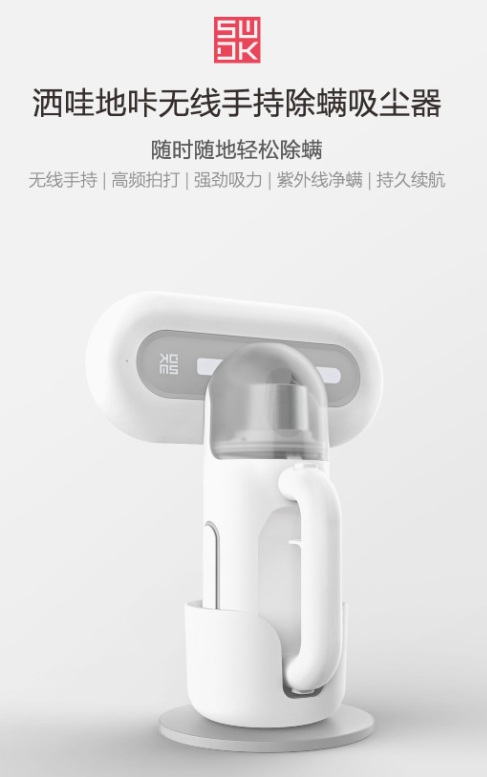 xiaomi mijia SWDK wireless handheld dust mite controller ultraviolet vacuum cleaner is practically one of the cheapest vacuum cleaners in mijia crowdfunding platform. When it was first unveiled for crowdfunding, it was priced at around 299 yuan ($ 43). At the moment, it is out of crowdfunding and its official price is even less than 249 yuan ($ 36). But the cheapness of this product does not mean that its features are less. 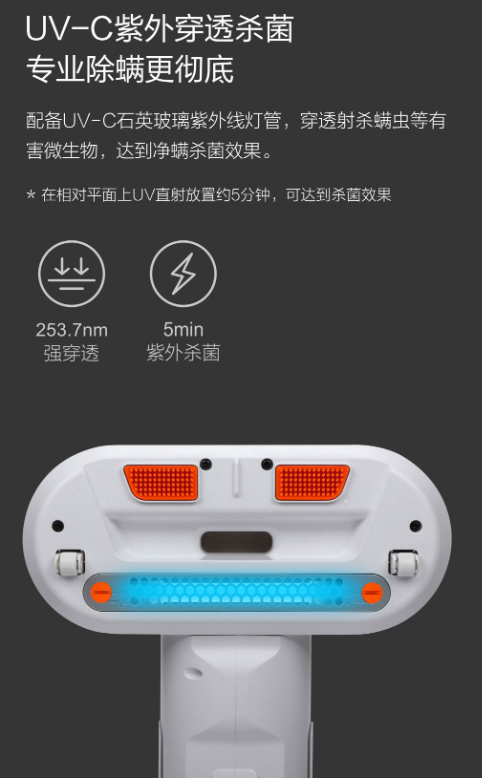 The main selling point of the xiaomi mijia SWDK wireless handheld dust mite controller is ultraviolet vacuum cleaner, the feature is the elimination of small creatures. The vacuum cleaner can produce up to 8,000 vibrations per minute, which allows the creatures that first cut off the surface of the clutches of the furniture and those deep inside the mattress, then pull it inside. This vacuum cleaner has a suction power of 12,000pa. In addition to eliminating the creatures and dust that cause allergies, xiaomi mijia SWDK removes germs by using ultraviolet vacuum cleaners using UV rays. This vacuum cleaner has a 0.4 L HEPA filter, a power of 450 watts and a weight of 1 kg. When fully charged with a charging base, it can work up to 25 minutes. The full charge of this vacuum will take about 2.5 hours.